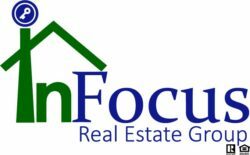 I founded InFocus Real Estate Group with the purpose of providing real estate services to the community and do so with the highest standards of practice and accountability. My husband and I felt the need and desire to develop a company that requires its Realtors to rise to these standards and in turn provide exceptional service to our clients. I strongly believe that treating people with respect is one of the most important characteristics to have & by doing so creates a strong community in which we wish to live. I believe in teamwork and collaboration, and expect high standards from my team and staff. I bring strong organization skills & management experience along with the commitment to follow-through & communication skills unlike you have ever seen. I work hard to build strong relationships with my clients & third parties to make every transaction smooth & enjoyable. This allows me to meticulously manage the expectations of each client and in doing so create a company that the community respects and can count on for all of their real estate needs.